Franklin Allen got his bachelor's degree in 1977 and his master's degree in economics in 1979, both at the University of East Anglia, England. He later earned a doctorate in economics at Nuffield College, Oxford, in 1980. After being associate professor of finance and associate professor of finance and economics at the Wharton School of Business at the University of Pennsylvania from September 1980 to June 1990, he became vice dean and director of the Wharton Doctoral Programs and professor of finance and economics in July 1990. In January 1994, Dr. Allen was assigned to the chair of Nippon Life Professor of Finance and Economics as a professor. Additionally, he took the position of co-director of the Wharton Financial Institutions Center. 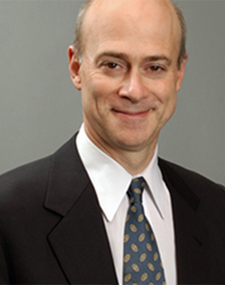 In his professional career, Dr. Allen has visited diverse universities and research centers in the context of visiting professorships, academic fellowships and scientific advisory such as the University of Tokyo in 1993, the Johann Wolfgang Goethe-Universität of Francfort in 2001 and 2006, the Indian School of Business in Hyderabad in 2005 and the Stockholm School of Economics and Gothenburg University in Sweden in 2006. He is a past president of the American Finance Association and the Society for Financial Studies, as well as a scientific adviser at the Sveriges Riksbank, the central bank of Sweden. He edited a standard textbook for undergraduate students, together with Stewart Myers and Richard Brealey, which also helps practicing financial managers who want to enhance their understanding of corporate finance, named Principles of Corporate Finance. The textbook is internationally-known and used for undergraduate courses outside the authors' countries, e.g. Germany.